Teenage girl bedroom usually has a different appearance to adult bedroom. Teenage girl bedroom should has unique design and colorful which represent the character of the owner. Therefore, the design of the room should get big attention. Bedroom for teenage girl is not just a place for sleeping, it is a place for developing creativity and self-actualization. Furthermore, bedroom for the girl it is a place for the character development. The more comfortable her bedroom, the better her development. For some girls, color is something very important in their lives as color is representation of their personalities. Of course, every girl has different tastes as they have a different interest. Therefore, color selection for the girl bedroom should be adapted. 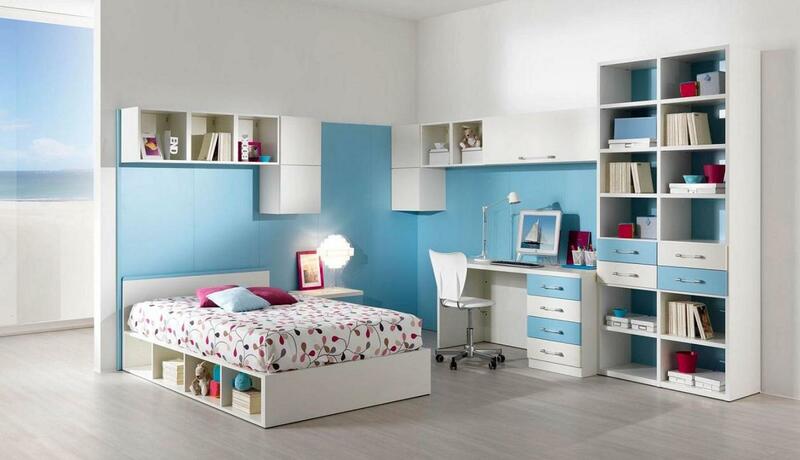 The existence of various accessories are also important in teenage girl bedroom to beautify the space. Without the appropriate accessories, the rooms can be very monotonous. Therefore, putting accessories have many benefits. Beside to beautify the room, accessories can be used as storage too. Almost every years, design and color trend for teenage girl bedroom changes. To follow that, you can modify your room by yourself or you can hire the room designer. Well, if you want to have the best bedroom as you expect, here are 20 ideas to make your room look sweet. Women are not always identical with soft color. This means you can choose any color to make your girl bedroom look beautiful. But pink is a color that is perfect for women. It represents a cheerfulness. This color is not too soft but also not too strong. It is suitable for a girl who has a dynamic characteristic and who love a beauty. Inside the room, you can use furniture made from wood. It will makes the room look classic and sweet. The first thing you need to know before decorating is the building of the room. You should put your bed, vanity, and cabinet in the right place. To beautify the room, you can add some accessories that are installed on the wall. Although they are just simple things, but they are essential to make the rooms look alive. The picture above is an example of simple bedroom decorating. Vanity placed in the corner. Colored-fonts poster on the wall make the room look more beautiful. Lamp is an essential item in girl bedroom. It is the source of the light for the entire room. However, it also enhances the beauty of the room. If you have an enough budget, you should fit the lamp to the nuance of room. For example, if your room has elegant design, so the lamp should be elegant too like in the picture above. If your room has classic concept, then the lamp selection should be matching. In conclusion, the bedroom appearance will be better if the lamp and the design of room is matched. A bedroom in small room is easier to modify. For those who want to have a beautiful room from a small room, can imitate the picture above. The room above look beautiful with simple modifications. It has white color in majority and there are rounds drawing on the wall in pink and black color. The lanterns hanging on the roof make the room unique. High cabinets is a good choice as a storage and a small table with three shelves beside the bed has multi function . Although the room above is simple, but it looks very awesome. 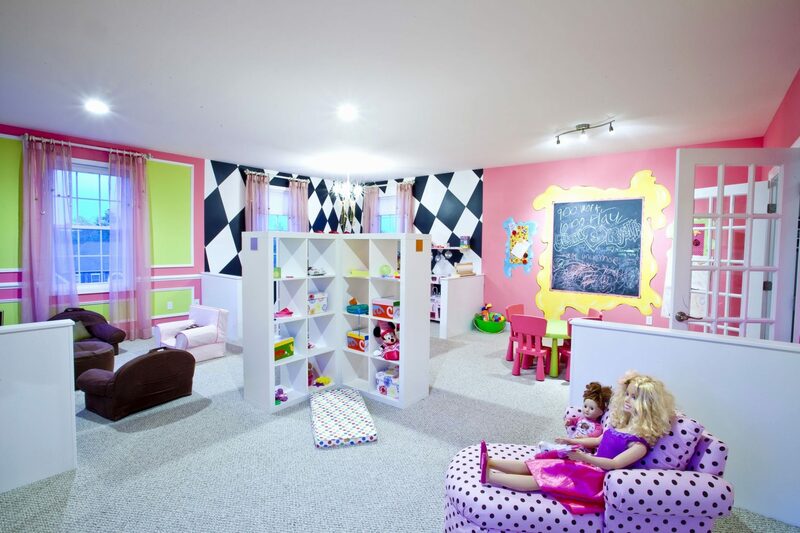 http://therichersonic.com/teen-girls-bedrooms-ideas/12-best-teenage-rooms-decorating-ideas-as-wells-as-ideas-for-teenage-girls/As mentioned earlier in this article that the accessories in girl bedroom have many functions. First, it to beautify the room and the second it also can be as storage. If you look at the picture above, the three boxes on the top shelf can add aesthetic value but it also used for storage. Meanwhile, the dolls are just to make the shelves filled. But the most important thing to consider when looking for accessories for bedroom is that they should be useful. Don’t put the accessories that just make the room look messy. To make your room beautiful, you don’t have to use paint but applying a good interior will also make your room better. And to get satisfactory design for your room, you can imitate the image above or consult to the interior designer. The interior of the room above looks very luxurious because it use golden curtain for the windows. The good lighting in that room helped it to be more perfect. If you have a large room, you can put a sofa chair in your room. The chairs make the room more complete with furniture. And the accessories that are placed in the cabinets on the wall make this room become unique. 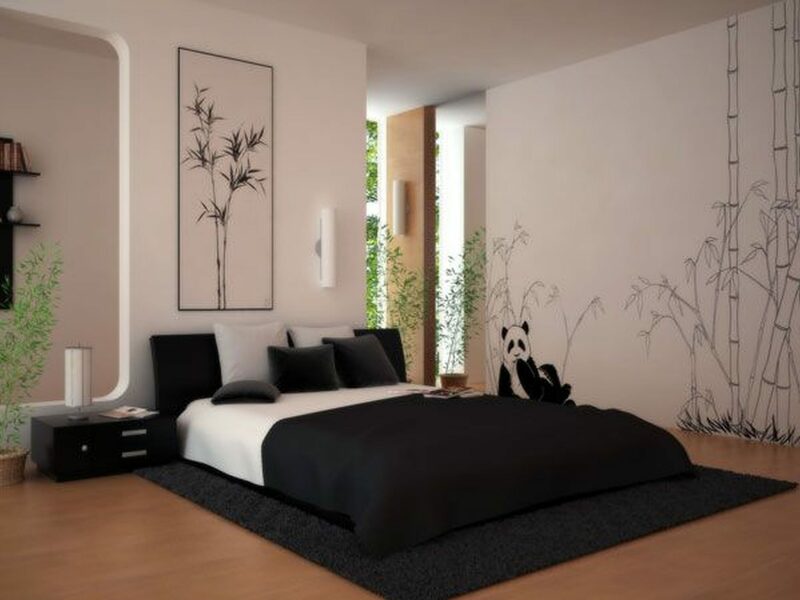 Black and white can be good choice for girl bedroom. These color combinations are very simple and neutral. It’s suitable for the simple girl but has creative personality. To make your black and white room look unusual, you can add something creative on the wall. For example, you can draw something you like. Bed and sleeping equipment should be black and white too. Thus, your room will look simple but beautiful. 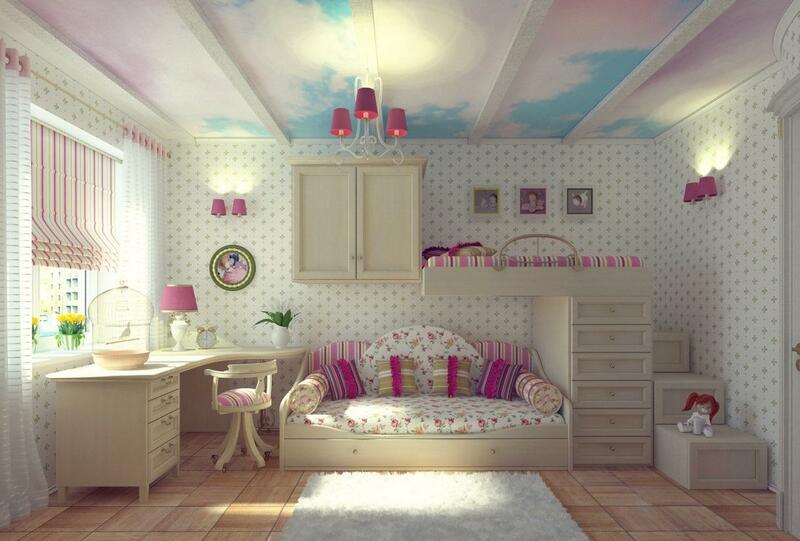 Furniture is something very important for girl bedroom. It can make the room look alive and it very useful to store your various girly stuffs, which is usually very much. There are some furniture types that you can place in your room, for example high cabinet for storage. You can also modify your bed as storage like in the image above. Furniture can also be installed on the wall. In conclusion, there are many furniture designs and the placement can be determined by yourself . 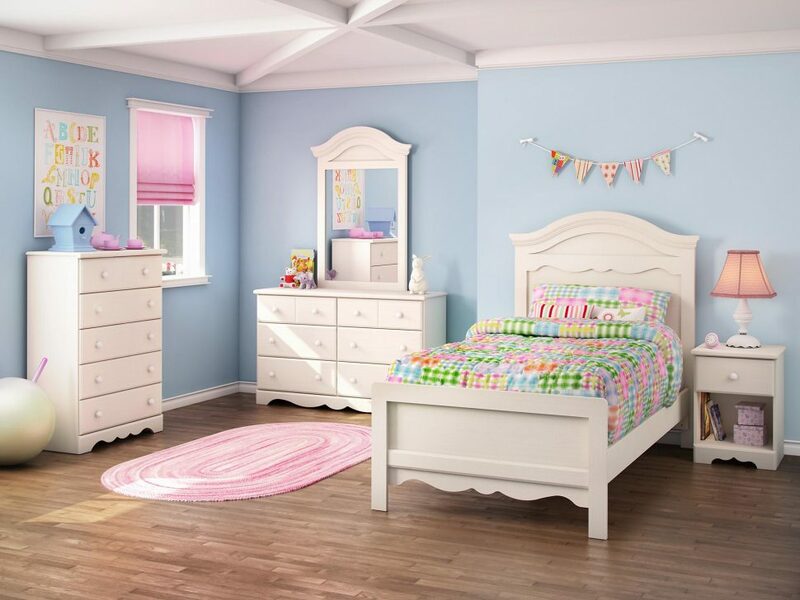 In essence, furniture for the girl bedroom should be able to beautify space and useful for storage. Blue is a special color for a girl. This color can make the bedroom elegant, modern, and futuristic. And blue is a graceful color and calm. In order your room not too dominant in blue, you can combine it with white on the roof and on small part of the wall. The combination of these colors will make your room very beautiful. The floor carpet is in blue as well. Then you can choose white furniture and also for the curtain. If you want to add lighting in every corners of the room, it will make the room more perfect. Having a large and sweet bedroom is a dream for every girl. But there are some things to consider to make it comfortable and beautiful. If the spacious bedroom doesn’t get right touch, it will look empty. Therefore, the selection of colors and furniture placement should be precise. For color selection, you can choose any color according to your choice. It would be better if not use multi-colors because it will require additional budget. It’s wiser by applying motif-wallpaper on the wall. In the big room, you can actually have big furniture as well. You can choose small furniture too, but the placement should be right in order the room look neat. Beside to cover the bedroom windows, a curtain can be use as a decoration. Therefore, the selection of curtain must match with the color of the room. You should be able to see the right color for it. To make the room look beautiful, you can use two layers. The first layer is the plain color while the second layer is a fabric that has motives. This combination will make the room more luxurious. For the its size, you can adjust the curtain to the window or you can also use long curtain that fall into the floor. 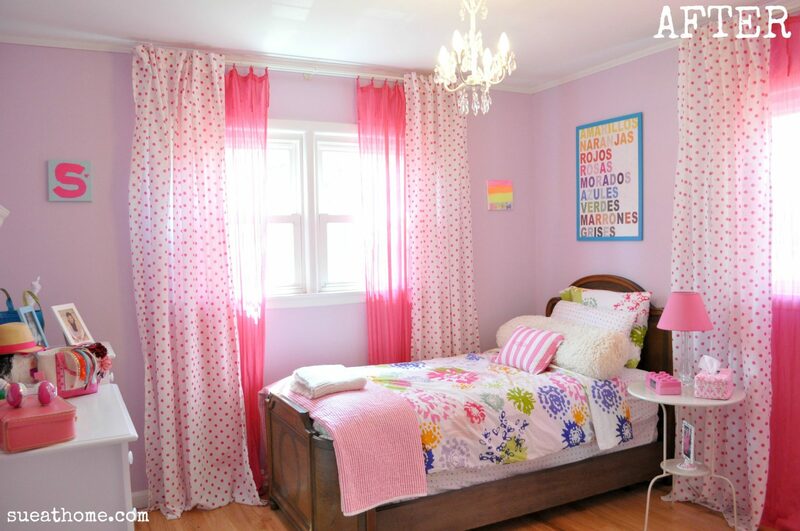 The right color combination is very important if you want to use multi-color to make girl bedroom look good. The combination not only involved the color of the wall, but also for other items in the room including bed cover, carpet and furniture. Blue and white for the wall as in the picture above is a good idea. Then the furniture has natural color. Meanwhile, the two round carpets for the floor is in dark red as well as pillows and blanket. The color of bed is black and white, same with bed cover. So, all of these combinations make your room look neat and beautiful. Wall with quote for the girl bedroom is trending nowadays. You can have it too for your bedroom if you want. Wall quote like in the picture above can be reference for you. Violet is a very suitable color for your room. You can apply that color on the wall behind the bed. Then straight on the bed there is a sentence said ‘Self Confidence – the perfect accessory for every outfit‘. You can make it as your reminder every day. Your room will be more beautiful if the purple color combined with white as in the room above. You can turn your bedroom into ‘paradise’ with your own hands. Modifying your room with your own ideas actually would have many advantages than hiring room designer because you can arrange your room according to your desires. Then the results will be more satisfying, and it’s cheaper. It’s not hard to make your room be best. You can use items that are not too expensive. Starting from cabinet, table and chair, you can buy them from furniture stores. Then you can colorize them with your favorite color like in the picture above. It’s not impossible for you girl, who want to have an elegant bedroom. You can have very beautiful sleeping place like those found in expensive apartments. To realize an elegant bedroom idea, choosing white is a good idea. It is for basic color since it will bring the radiance of luxury in your room. You can combine it with other color like green. The most important is the concept of the room. Door and window that heading to natural view outside will be very helpful. Then you can add some furnitures including small sofa chair, cabinet, painting and accessories that you like. Gray also can be an option for girl bedroom. This color is not only identical with boy’s. But if you want to distinguish your room with them, you can put some girly accessories like the words ‘love’ on the wall and some pictures related to the girl’s life. You can also add different color for each cabinet to make your room cheerful. You can also add flowers if you want. Teenagers usually love a game very much. If you want to make bedroom for teenage girl with game concept, you can make the picture above as reference. Making a bedroom with a game theme actually does not need a big room like in the picture. You can modify any room. But, in a small room, it is better if you only applying one game title. If you’re a fan of ‘angry bird’ for example, you can buy some bird dolls then put them in a drawer. You can also paint the walls with the characters of the game. Girl bedroom in 2018 with classical concept will be a very unique and brave choice. That doesn’t mean that the appearance of the bedroom same as ancient times; but only taking them as basic idea. The picture above for the example, it’s unique bedroom appearance for the girl bedroom in 2018. It uses the classical concept by presenting Indian American motifs for the paintings on the wall and pillows. Then there is a very classic box beside the bed. It is so helpful to make the room have classical look in the modern touch. Moreover, the box can also be a storage. If you have enough budget, you can make your bedroom as the most comfortable place in the world. The picture above is example of perfect bedroom. That room is full of color on all parts of the wall. Then in the roof there is sky painting. It is wonderful. The lightings is also very unique. The furnitures are made from wood. The combination between the color, light and the furnitures in the room makes it look perfect and beautiful. Modern girl bedroom style tend to be clean, tidy and simple. Although for girl, in the modern room concept should not too many accessories. Maybe it is enough just for a some paintings to make the wall doesn’t look empty. 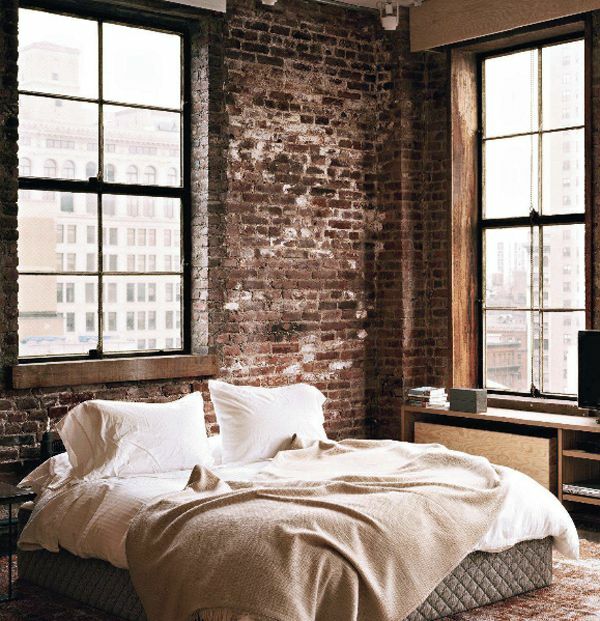 Then the minimalist design of the bed and the windows are the character of modern. It to be made like that because usually people in modern era not have much time to clean the room. Indeed, bedroom is only a place for a short break.